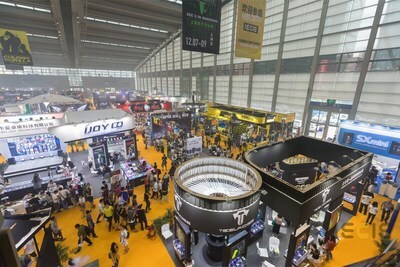 SHENZHEN, China, March 20, 2019 /PRNewswire/ -- The 2019 IECIE Shenzhen eCig Expo, organized by UBM Creativity, will be opened from April 14 to 16, 2019 at Shenzhen Convention & Exhibition Center, ushering in the Expo's 5th anniversary. Over the past few years, the e-cigarette industry has witnessed several revolutionary developments to grow the pods system and Heat-not-Burn (HNB) devices. Being elegant, simple, portable and easy-to-use, pods system products have gained popularity among a large number of businesspersons. At the beginning of 2019, many 3C industries in China have entered the e-cigarette industry and launched their own e-cigarette brands, making it the top new investment trend in 2019. From Zhu Xiaomu, former Product Director of Smartisan Digital Co., Ltd., who launched the brand "FLOW", to "Tongdao", a famous KOL who created "YOOZ", the investors of the vape industry immediately became the trending topics on major media platforms. With the great performance of leading pods system brands in China, the current valuation of "RELX", a vape brand, has reached about USD 1 billion. Under the influence of celebrity brands endorsements and channels, these re-entrepreneur brands with their inherent traffic have gained sound feedback from the market, injecting new stimulus into the vape market and bringing strong confidence in the industry's development. The new tobacco product HNB is also following up, seizing the middle and high-end market with strong competitiveness. In addition, with China Tobacco gradually joining the market, HNB products are bound to be the market's favourite in the next few years. Meanwhile, traditional e-cigarette products are still present in mainstream markets in Europe and North America. In 2018, Juul, the leading brand of pods system, dominated the vape market in the United States with the largest market share of vapes after only two years, with a market value of 38 billion US dollars. This fully shows the opportunities present in this market. In December 2018, China Tobacco made its debut in the first "IECIE Shanghai Vape Culture Week". 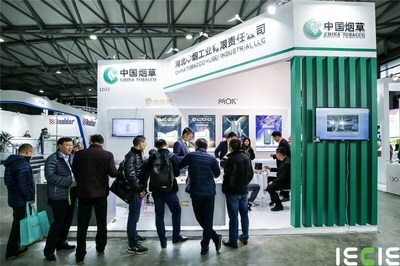 The China Tobacco companies, represented by those in Sichuan, Hubei and Yunnan, brought their traditional smoking utensils and the latest HBN products to the industry's expo for the first time, showing optimism about the prospects of the vape industry and a positive attitude towards participating in the innovation of the industry. In 2019, the e-cig industry will usher in a new development opportunity. 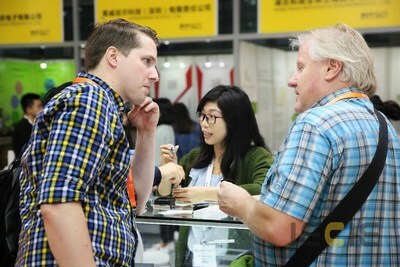 The IECIE Shenzhen eCig Expo will continue with the aim of fully expanding the industry and taking globalization and specialization as its organizing policy. It will bring the latest trends to the e-cig industry and provide a professional platform for discussion, exchanges of opinions, and an opportunity for displaying new products to further boost development and innovation in the industry. At the 5th anniversary of IECIE Shenzhen eCig Expo, the expo will cover a total area of 40,000 sqm, bringing together 1,500+ brands from 45 countries and regions. It is estimated that more than 50,000 visitors and 350 media will attend the expo. Professional exhibitors and visitors from around the world will participate in the show, including brand dealers, wholesalers, distributors, vape amateurs, physical stores, franchisees, e-commerce enterprises, trading companies, overseas buyers, investment and financing institutions, gift procurement institutions, group procurement institutions, and so on. Shenzhen Convention & Exhibition Center is being held from April 14 to 16, 2019. For pre-registration please click here.